The fluorometer measures turbidity and fluorescence, which can be used as a proxy for phytoplankton. The fluorometer provides contextual data on biomass/productivity in the water column testing the hypothesis formed at the EMEC tidal energy sites that the advection of productive water masses into the area may signal the arrival/presences of many other species. Measures of turbidity/visibility can be used to predict the perceptual range of animals that may impact and predict the behaviour of species around the turbine. 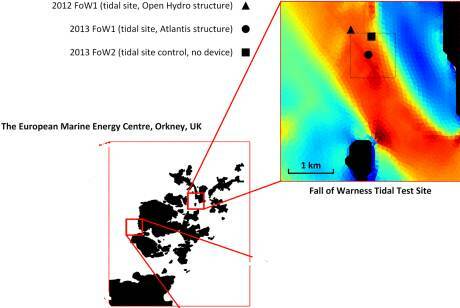 In 2012, the first deployment at the Fall of Warness tidal site (with 4 m/s spring tides), 20 m from the OpenHydro Test Turbine provided an initial dataset adjacent to a seabed structure representative of a MRED and verification of operation in the tidal site. This dataset was complemented by a 2013 deployment at a distance of 22 m from the Atlantis tripod base and piling. 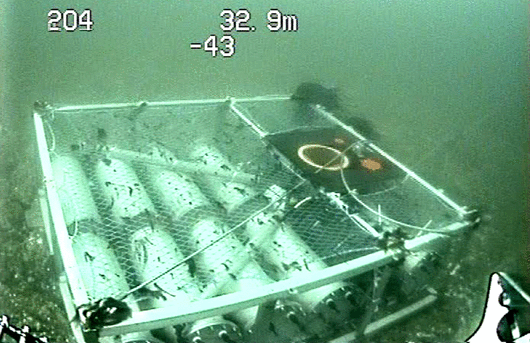 A third tidal site deployment in similar conditions but in an area free from devices provided a control. EMEC Fall of Warness FLOWBEC Platform Fluorometer Monitoring Data is located in United Kingdom.